All the Spanish cliché’s come to life in Seville, the queen of the south in Andalucia. Seville is best enjoyed slowly, therefore despite being a compact and relatively small city in comparison to other Spanish tourist destinations, Globetrotters should allow at least 2 days to have enough time to see all of the essential sights and soak up the general atmosphere. Vacationers – Seville is most likely going to a place you’ll want to return to more than once, so make the most of your stay here! Start your day in Seville at one of it’s star attractions, the Real Alcazar. Even if you have been to Granada’s Alhambra, or plan to go in the same trip, this Moorish palace will still take your breath away. Allow between 2-3hrs to wander around all the rooms, courtyards & seemingly never-ending gardens. 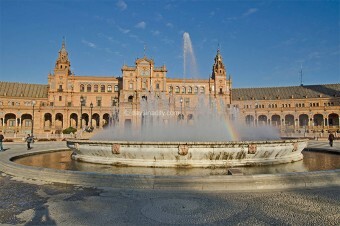 Directly opposite, the Seville Cathedral & it’s Giralda tower will most likely catch your eye. It’s the 3rd largest church in the world and the interior is stunning. Try to locate the mirror that you can look into so you can admire the roof without hurting your neck. Make sure you check out the supposed Christopher Columbus tomb & the incredible altarpiece before ascending the Giralda tower for fantastic views over the city (no stairs, just a big windy ramp). After that ascent you’re probably ready for some tapas & luckily there’s many great places to choose from as soon as you exit the Cathedral. 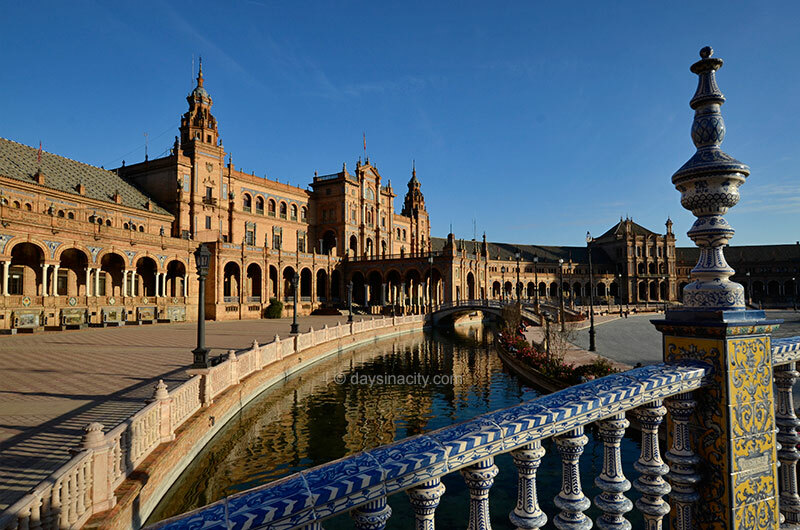 In the afternoon, wander over to Plaza de España, a really impressive and photogenic square that you may recognise from many postcards & movies (the most recent one I saw it on was Sacha Baron Cohen’s ‘The Dictator’). There’s a ton of great photo opportunities here. Opposite the square is María Luisa park, which makes for a nice escape from the heat. In the late afternoon make your way back towards the Cathedral passing via the University (old Tobacco factory) and spend the remainder of your evening exploring and getting lost in charming Barrio Santa Cruz district (old Jewish Quarter). Make the most of being in Andulucia by seeing a traditional Flamenco show tonight. Head for the El Arenal area to see one of Spain’s oldest bullrings, Real Maestranza and perhaps do a guided tour of it’s interior. Close by, also along the river is Torre del Oro (aka. Golden Tower), a small tower which inside houses a small Naval Museum. 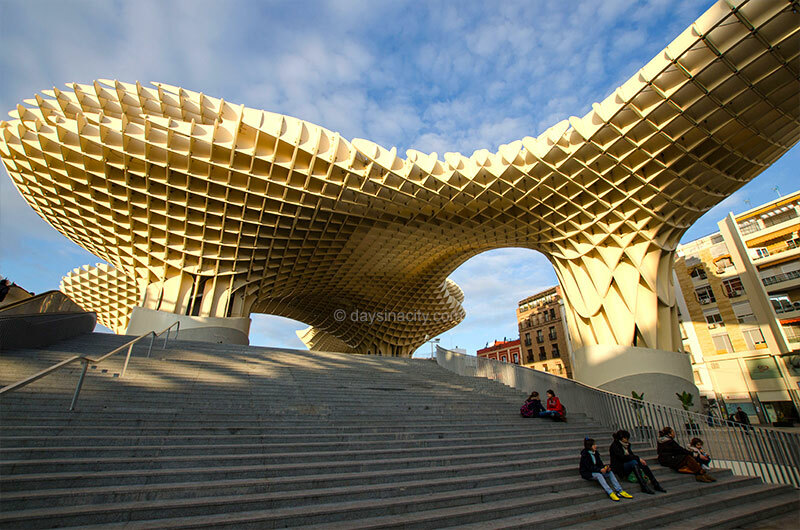 From here, take a walk through town in the direction of Casa di Pilatos, passing by the Town Hall (Ayuntamiento), Salvador church, and the very unique Metropol Parasol structure at Plaza de la Encarnación - a rather unexpected modern structure unlike anything else in Seville. After lunch in town, keep heading towards Casa di Pilatos. This is another 16th century palace, not to the same scale as Real Alcazar but features some architectural similarities and is a tranquil spot to cool off in the afternoon. This evening, head to Plaza Neuva and check out the shops along Seville’s main shopping strip, Calle Sierpes. As a vacationer it’s worth returning to see Barrio Santa Cruz in the morning and seeing it under a different light, you’ll notice things you didn’t in the evening on Day 1. After a bit of meandering and looking at some shops, head to the Hospital de los Venerables, a relatively hidden place near the Alcazar with a few surprise architectural delights and galleries. In the afternoon, if you’re feeling inspired by the flamenco show from Day 1 and would like to learn more about this classic Andalucian art form, head to Museo del Baile Flamenco, which is not far from Plaza Nueva. Afterwards, head back to the river and cross the Triana bridge into the Triana district. Whilst not as charming as the more touristy Santa Cruz, it does give you an idea as to what working-class life is like on the other side of the river. This area is also known as the place to purchase ceramic tiles typical of the style seen around town. In the late afternoon and evening you can opt to either stick around in Triana or head to Alameda de Hércules which is just a bit north of the centre of town and features many restaurants, bars with live music and flamenco shows. 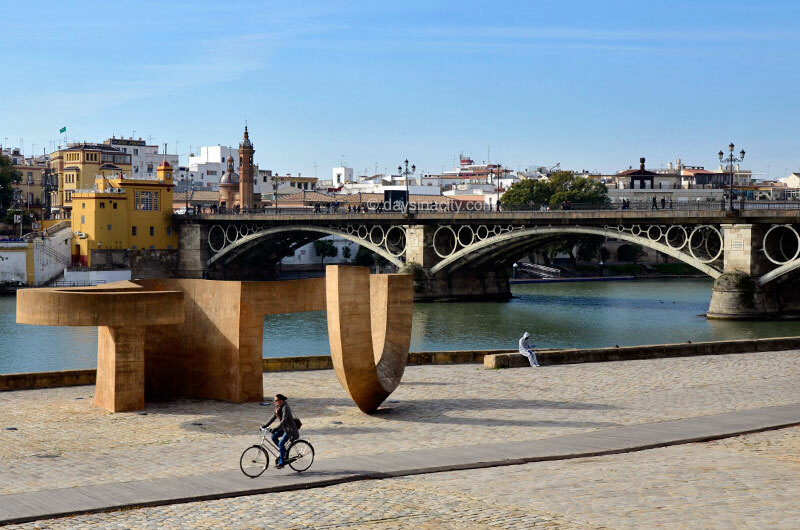 How many days do you think visitors should spend in Seville?